With today’s hot real estate market, it may be tempting to consider listing your home yourself, without the assistance of a real estate professional; it is often seen as a way to increase profits since no commission will need to be paid out but in reality, this is not often the case. If you choose to sell your home “For Sale By Owner”(FSBO), there are many factors to consider including additional costs and stress, so it is always advisable to list with a Realtor who knows what they are doing; you may actually make more money by doing so! How do you price a home without access to ALL the information – There is a lot that goes into pricing a home including comparing your home to others that have sold in your neighbourhood. Only Realtors have access to that information so you could be left guessing. Homes that are FSBO tend to sell for less than those listed with a Realtor – Buyers often expect to pay less for a FSBO home for a variety of reasons: buyers expect a bit of a deal since the seller is not paying commission to a Realtor and Buyers must pay more out of pocket in legal fees to get the paperwork signed. Along with pricing issues, this can lead to a lower sale price. Realtors have access to many marketing tools that you do not – It takes a lot more than putting a sign on the front lawn to market a house. You may think that promotion through social media will ensure your FSBO sells quickly but this is often not the case; unless you luck out and find that one of your contacts is interested in your home (which is statistically unlikely), what happens next? Realtors have a much wider social media reach and followers who are looking to buy a home! Realtors also have websites and spend time and money to drive traffic towards them. Your listing is far more likely to be seen if you list with a Realtor. Getting your listing on the MLS System – The MLS is where all Realtors and many potential buyers search for listings. It is how your listing will get seen. If you list your property with a Realtor, it will be listed through MLS. 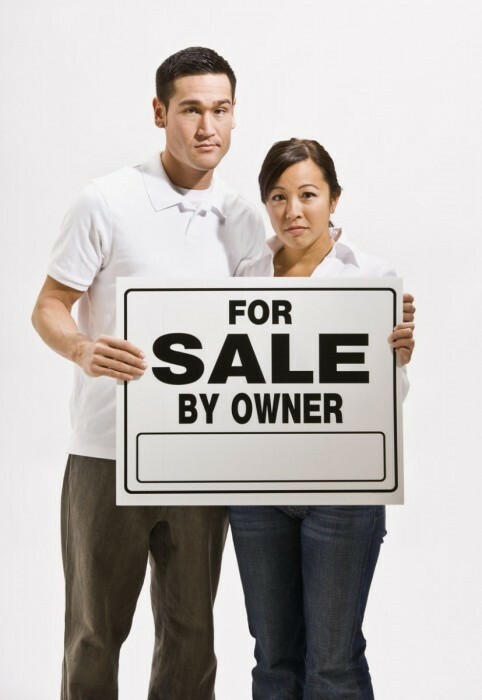 There are FSBO Service Providers out there who can get your listing on the MLS, but do your research! Make sure that your listing will appear on the right real estate board’s site and take into consideration the upfront cost of these services. People won’t buy your home unless they can see it – Are you available to host showing of your home at any time of day; if you choose to sell your home yourself, it will be up to you to host the showings. Can you take time off work for daytime showings? Are you available on weekends? If you list with a Realtor, they will take of that for you. Marketing takes time – All those things mentioned above take time; do you have enough time to work on all the marketing and organizational tasks that go along with selling a home? Longer time on market – homes that are listed FSBO tend to sell less quickly than those which are listed with a Realtor. Do you have that extra time? Professional photos – Getting your photos done with an experienced photographer is incredibly important as you want your home to stand out online (where most people do a large chunk of their home search). A Realtor will cover these costs for you but if you go it alone, you will have to cover this yourself. Advertising – To ensure the home is seen by as many potential buyers as possible, you will likely have to pay for advertising and this can add up quickly. Legal Fees – If you list your home yourself, you will not have a Realtor to do the paperwork with you and you will need to rely on your lawyer a little more than you would otherwise. Lawyers are not cheap so this can be costly. MLS Listing – If you choose to get your home on the MLS, this will cost your upfront as well to do with a FSBO service provider. ***Remember, if you list your home with a Realtor, you will not need to pay them a penny until it closes!